A couple of years ago, I spent six months living and working in the centre of Paris. 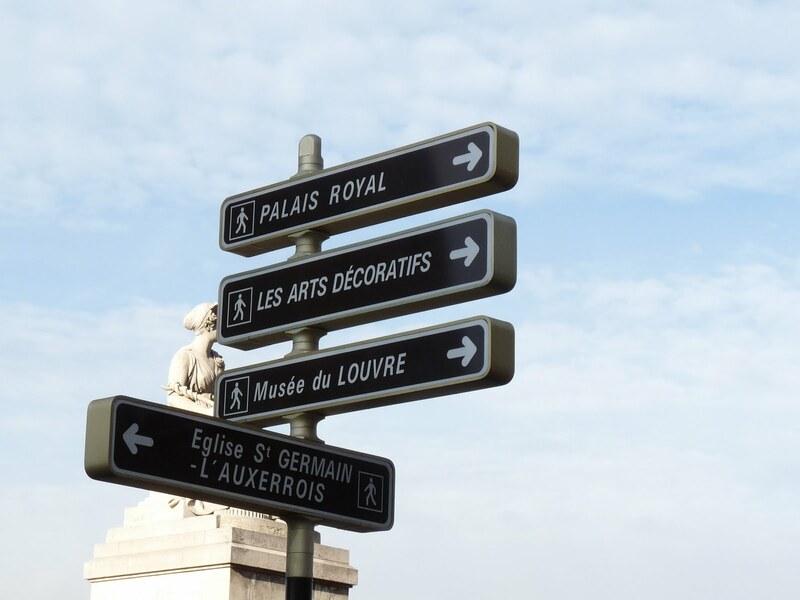 During this time, I learnt quite a lot of things about getting around in the city and even getting in and out of Paris itself that may be helpful to other travellers or people who are thinking about moving to the city. While Paris ostensibly has the same travel options as all the other major European countries, there are some things it does help to know. This is French for “the strikes”. They seem to go on strike a lot in Paris, and if you have ever tried getting around London on a day when there is a tube strike, you may think you are prepared for it, but you’re not. In France, they seem to coordinate their industrial action so that it won’t just be the metro that is on strike, but everything else too. With no trains or buses, the roads become gridlocked and so even if you have hired a car or managed to find a taxi, you have to leave for work, and this is not an exaggeration, at 3am. You essentially need to alter you entire sleeping and working pattern to be able to spend enough time at work to do your job. The strikes can sometimes go on for days, and they seem to be basically scheduled to run indefinitely, so rather than knowing that the trains will start running again on Thursday morning, you just aren’t sure. Just be aware that a strike in Paris is not an inconvenience like it is in the UK, it actually brings the entire city to a halt. Paris is the only city I have been to in the entire world where a taxi is actually the least convenient way of getting around. In London, we are particularly spoilt with all black cab drivers having to study, for around three years, the streets of London so they can pass The Knowledge, the exam that verifies that they know the city well enough to be trusted with one of its iconic black cabs. In Paris, there is no such test, but most cabs are equipped with sat nav so in theory it should be fine. It isn’t though. They will get lost. They will pretend the street doesn’t exist even though you have pointed it out in the A-Z. If you share a cab with someone, they will try and charge you both the full fare shown on the meter, which is already too high because of the getting lost. Seriously, use public transport, it is much less hassle. The metro is very good, if as dirty and crowded as any other underground train system, and if you are going further afield the over-ground trains are faster and more reliable than anything you get in the UK (as well as cheaper). When everything is running, Paris is actually a very easy city to negotiate, particularly if you are used to using large scale metropolitan transport systems. Buying travel cartes which allow you to use public transport for a day or week is the cheapest way to get around, and these are easily purchased from automated ticket kiosks much like you find in other European countries. If you are thinking about taking a holiday in Paris, you may want to have a look at some Paris apartments and book before you leave. France Accom has dozens of apartments in Paris for you to browse and you will surely find an exquisite property in the location of your choice. Bon voyage!